Walk-in clinic located off Park Rd. between Selwyn Ave & Montford Dr.
Quick and easy. No appointment needed, just walk right in. The sports physical exam, otherwise known as the pre-participation physical exam (PPE), helps determine your physical ability to participate in a particular sport. Most school physical exams are given prior to the season starting and may be required by North Carolina before beginning a competitive season. 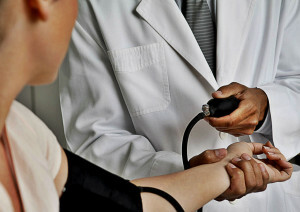 Even if a school physical exam isn’t required, doctors highly recommend yearly physicals and check-ups. Carolina Express Clinic also performs college-entrance physicals, administrative physicals, new job physicals and a variety of immunizations that may be required for work or travel. Contact your school or organization for specific information on the physical exams and/or immunizations that each person may require. If you are entering college this fall, your admissions director may have informed you about a college physical you must get. We offer these physicals quickly and easily, with no wait times and no appointment needed, right here in South Charlotte. Camp, sports and college physicals are all available Monday-Sunday on a walk-in basis. Minors must be accompanied by an adult chaperon or guardian and have parental/guardian permission. Carolina Express Clinic is located in South Charlotte off Park Rd. near the intersection with Selwyn Ave. There is a Harris Teeter Express, and several restaurants in the same shopping center. Contact us for more information, pre-register for your appointment or visit us today!